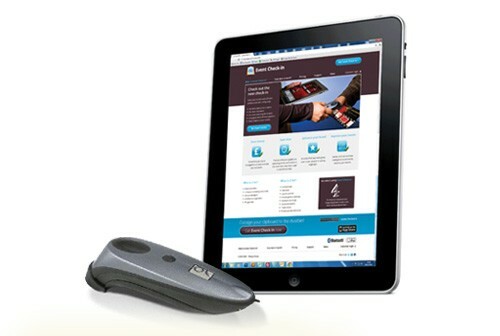 The staff at Peak Development would like to thank all of our customers and suppliers for their support during 2011. Our offices will be closed from 1PM today until 9AM on Tuesday the 3rd January. In a press release on their website, SanDisk have today anounced that they have reached "an agreement in principle" to join forces with Panasonic, Samsung, Sony and Toshiba to work on a new content protection technology for flash memory cards under the Next Generation Secure Memory Initiative. The five companies will now start preparing for licensing and promotion of HD cpabable security for SD Cards and Embedded Memory for use in advanced consumer applications such as SmartPhones and Tablets. The five companies believe this new technology will enable various HD content applications such as HD network download, broadcast content to go and HD Digital Copy/Managed Copy from Blu-ray Disc. The five companies believe that they each can make substantial contributions that, when combined, will enable them to start licensing the new secure memory technology early next year. The five companies expect to see adoption of flash memory products and various embedded flash memory solutions using this technology in the market during 2012. Peak Industrial customer ORM London, a fully-integrated digital services agency based in London, has published the iPad application Event Check-in on the Apple App Store. Event Check-in, a next-generation guest check-in system for professional event organizers, is the first of many iPad, iPhone and iPod touch applications developed with the SocketScan 10 Software Development Kit to become available on Apple App Store. SocketScan 10 SDK, designed specifically for the Apple certified Socket Bluetooth Cordless Hand Scanner (CHS) 7Xi barcode scanner, enables iOS developers to add customized support for the barcode scanner to their mobile applications, including advanced features such as broader character support or integrated data manipulation often required in enterprise data collection. 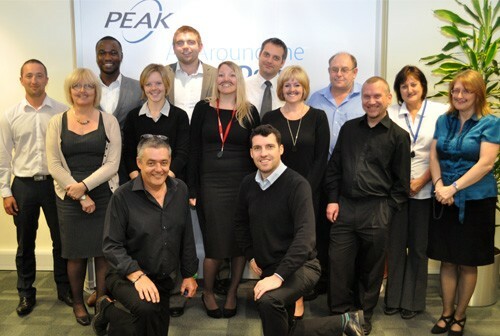 With Christmas just around the corner, the staff at Peak Development would like to thank all of our customers and suppliers for their support during 2011. Over the Christmas period our offices will be closed from 1PM on Friday 23rd December until 9AM on Tuesday the 3rd January. Christmas Deliveries The last collection date for guaranteed pre-Christmas UK Mainland delivery will be Thursday the 22nd December. International shipments (depending on region) will be several days earlier on Monday the 19th December. There will be no collections on Friday 23rd Decembers, orders taken on this date will not be shipped until we re-open on Tuesday 3rd January. Once a month CHANNEL Eye will collect together the most interesting new stories from peak-uk.com and bring them to your inbox. To subscribe to CHANNEL Eye, click on the NEWSLETTER link on our homepage. 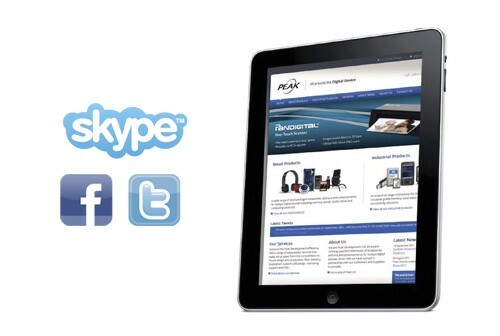 You can also now keep up to date with all the latest product information and news stories from the world of Consumer Electronics by following Peak on Facebook and Twitter. Just click on the links at the top right of our website or in the footer of any Peak email and choose to Follow us on Twitter or Like us on Facebook. We're pleased to announce a new distribution agreement with Computer Gear, one of the UK’s leading manufacturers of Computer Cabling and Accessories. With a mission to continually provide the latest design technology at the most competitive prices, Computer Gear are the manufacturer of a comprehensive range of Computing Cables that include everything from the latest HDMI V1.4, VGA and DVI Cables to Mains Power and USB Cables. 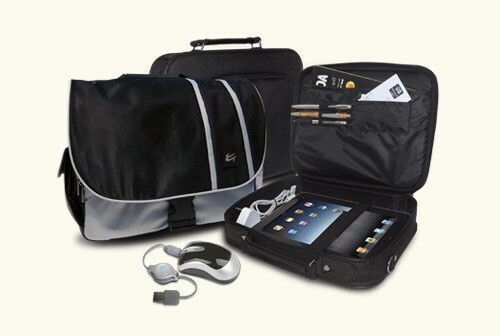 Additionally, The Computer Gear line-up includes a range of high quality Computer Accessories, including Laptop Bags, Keyboards, Stereo Headsets, USB Web Cams and Speakers. Peak Development will be part of the team behind the SanDisk name at this year's Canon UK - Pro Solutions 2011. Come and join us on stands 37 and 38 at the Business Design Centre, Islington on the 25th and 26th October as we showcase the very latest in SanDisk's professional imaging line-up - including the new SanDisk Extreme PRO 95MB/s SDXC Cards. FMJ is a new a company founded on the principle of innovative solid state storage product design, high performance, extreme reliability and unrivalled technical support. The name might be new, but the team BEHIND the name are experienced industry veterans that include Dave Merry and John Conklin, the co-founders of SiliconSystems. FMJ offer a range of solid-state storage solutions for the industrial embedded marketplace that provide customers with high performance computing applications with extreme data storage reliability. From PATA 2.5 inch drives to 10-pin USB modules, all FMJ products meet the performance dynamics demanded by embedded applications; voltage regulation technology, sophisticated ECC schemes, advanced wear-levelling schemes, tailored firmware, I-Temp, multi-year life-cycles and enhanced security. This demanding specification means FMJ’s innovative offering will find applications in various markets: military, medical, industrial manufacturing, enterprise and single board computing. SanDisk Eye-Fi - Now In Stock! 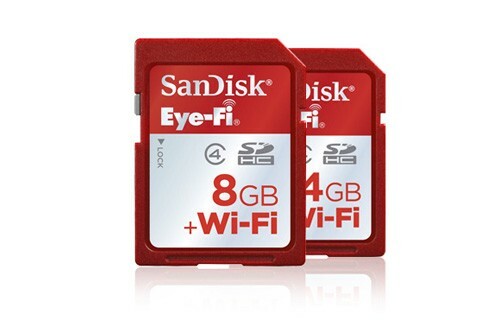 The new SanDisk Eye-Fi wireless cards announced last month are now in stock and selling well. We still have good stocks of the 4GB capacity but are already finding high demand for the 8GB. SanDisk Eye-Fi Wireless Memory Cards allow you to instantly transfer photos and videos from a camera to a nearby smartphone or tablet via Wi-Fi. You can then organise and share to your favourite social media and online sites. No more forgetting your memory card in your camera for months and not remembering what's on it! The SanDisk Eye-Fi wireless memory card does the work for you. For more information, click HERE to read a full SanDisk FAQ or contact your Peak Development account manager on 01489 796979. 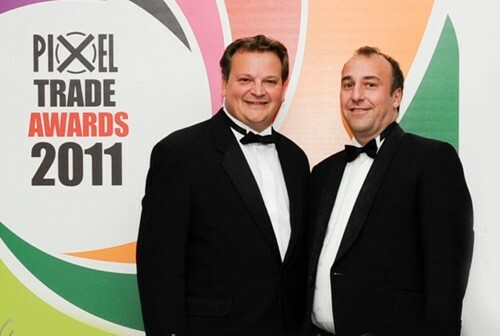 On Friday the 30th of September at the Pixel Trade Awards, Stephen Hockney (UK Sales Manager) and Mark Pini (Snr. Regional Marketing Manager) of SanDisk were presented with the award for Film Media Manufacturer / Supplier of the Year. As representives from our major supply partner, the pair from SanDisk had joined the Peak table along with key customers from the world of imaging for the gala dinner event. The Pixel Trade Awards are the only photographic and imaging trade awards of their kind, providing a unique opportunity for companies to earn the praise of their competitors and to recognise the high achievements in our industry. Earlier in the day at the Retail Imaging Show, the team at Peak promoted the full range of SanDisk performance memory products and the SanDisk Official Photo Partner Program, along with other imaging related products from our expanding portfolio. The good people at SanDisk have been busy this week, anouncing no less than 4 new products. All products are expected be available during November. For all the latest SanDisk information, please contact your Peak Development account manager..
SanDisk® Memory Vault The new SanDisk Memory Vault will provides users with a convenient, reliable way to pass down their images for generations to come – a photo album for the digital age! The device has been developed using new Chronolock™ technology which ensures that precious photos and videos will be safely preserved for up to 100 years. SanDisk 64GB Extreme® PRO™ SDXC™ UHS-1 Card SanDisk have doubled the performance and capacity of their professional-grade imaging line-up to create a new SD™ card that offers the fastest write performance of any SD™ card in the world to date. The new SanDisk 64GB Extreme® PRO™ SDXC™ card has a WRITE speed of up to 90 MB/s and a READ speed of up to 95 MB/s. The card is ideal for enthusiast spec UHS-1 compatible cameras, allowing the capture of a series of RAW images using burst mode, Full HD Video recording and the super-quick transfer of images from camera to computer. SanDisk® 64GB Mobile Ultra™ microSDXC™ Card SanDisk’s new 64GB microSDXC™ card can double the capacity of even the most advanced smartphone or tablet. The UHS-1 based high-capacity card features up to 30 MB/s transfer speeds and offers the Class 6 performance needed to capture Full HD Video. ImageMate® All-in-one USB 3.0 Reader/Writer Based on the latest USB 3.0 interface transfer performance of up to 500 MB/s, this card reader/writer reduces transfer times when downloading data from a card to a computer. With four card slots, this compact solution supports all major card formats and is backwards compatible with USB 2.0 enabled devices. Free tickets are now available for The Retail Imaging Show 2011, which has this year moved to The Grove Country Club and Estate in Hertfordshire. 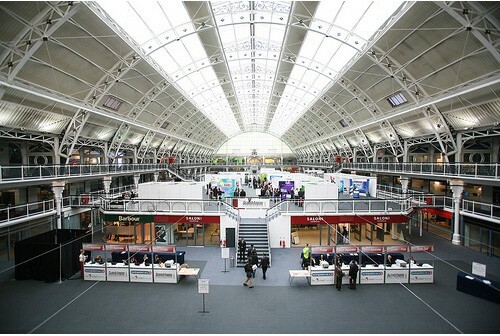 The annual event is the number one UK trade event for photo, minilab, consumer electronics, IT and AV retailers. The tickets, which have a face value of £17.00, include admission to the daytime event (Doors 10am) as well as free refreshments. Contact your account manager today to for your free tickets and to arrange a meeting at the event. SanDisk have added two new products to it's existing memory line-up. Available in September, The ultra low profile SanDisk Cruzer Fit USB Drive has been especially designed to discretely fit USB ports on tablets, notebooks, TVs or car audio players. The SanDisk Cruzer Fit comes complete with SanDisk SecureAccess Software, allowing you to password protect and encrypt the files you want to keep private. For more information, click HERE. Also available in September, a new range of SanDisk microSDHC Ultra Class 6 Cards. These new high speed microSDHC cards has been specifically designed to support new Android SmartPhones that support microSDHC. The cards will come supplied with a full size SDHC adapter. For more information, click HERE. Peak Development will once again be exhibiting at this year's Retail Imaging Show. The annual event, which this year will be held at The Grange in Hertfordshire is the number one, trade only event for photo, minilab, consumer electronics, IT and AV retailers. Visit the peak team on stand M18 / M19 and we'll show you how your photo specialist retail business could save up to 10% off SanDisk Performance Memory Cards with the SanDisk Official Photo Partner programme. Of course we'll also be using the event to present our new porfolio of products to the Photo Specialist Channel, including Scanners from Pan Digital and Koday, HD Digital Camcorders from Veho, Waterproof cases from Overboard and the buzz product of the moment - the Breffo Spider Podium, as seen on the BBC TV Series, The Apprentice. Peak Development Managing Director, Robert Baseley will commence a continental charity bike ride for Cancer Research UK on the 15th June 2011. The route covers 950 miles of tough terrain over 12 days (an average of 80 miles per day). The Italian event will be started in Lugano, Switzerland by the eminent Professor Peter Johnson from Cancer Research UK and will finish in Catania, Sicily. We are pleased to anounce a new supply partnership between Peak and Pandigital, a specialist digital imaging and entertainment provider. The Pandigital One Touch Photo Scanner and the Kodak Personal Photo Scanner will be the first products to become available as a result of the new partnership. 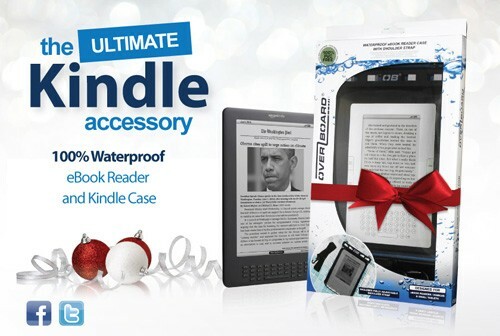 The Pandigital One Touch Photo Scanner makes it quick and easy to enjoy digital copies of printed photos. With no PC required, its simple one-touch operation allows scanned images to be saved direct to a memory card. After a successful show in 2010, Peak Development will again be partnering with SanDisk, the global leader in Flash Memory at Gadget Show Live 13th-17th April 2011 at the NEC, Birmingham. Returning for its third year at the NEC, Gadget Show Live is the UK's ultimate consumer electronics event. In just 12 short weeks since the opening of the online box office an incredible 80,000 tickets have already been sold. Visit Peak Development and SanDisk on stand number J12, situated in the photographic section, next to Park Cameras. Socket Mobile today announced general availability of SocketScan™ 10 for the Google Android™ mobile technology platform. SocketScan 10 is a highly versatile barcode scanning software tool that enables developers to add commercial-grade rapid and robust barcode scanning capabilities to their smartphone, tablet, notebook and desktop applications. Compatible Socket products for the Android release include all v3 models of the Socket Bluetooth® Cordless Hand Scanner™ (CHS) Series 7 portable 2D and 1D barcode scanner. Recently, Socket Mobile verified compatibility of the CHS v3 with the Motorola Droid Pro running Android 2.2. 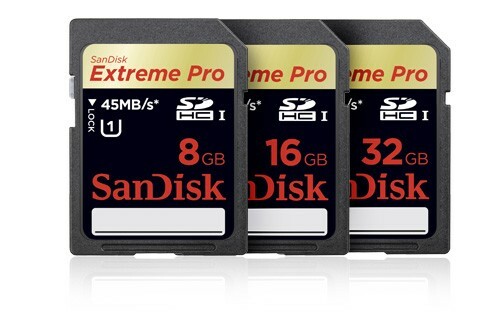 SanDisk has today announced the imminent arrival of the SanDisk Extreme® Pro™ SDHC™ UHS-I card. The card features Ultra High Speed (UHS) technology from the newly released SD 3.0 specification and can deliver read and write speeds of up to 45MB/sec when used in UHS-enabled cameras such as the Nikon D7000. "SanDisk has a long history of developing fast, highly reliable cards for photography enthusiasts and professionals," said Susan Park, director, retail product marketing, SanDisk. "Our new SanDisk Extreme Pro SDHC card lets consumers take their skills to the next level by capturing high-resolution still images, fast-moving action shots and HD videos of the highest quality." First stock is expected to arrive at the end of the month. Talk to your Peak Development Account manager. 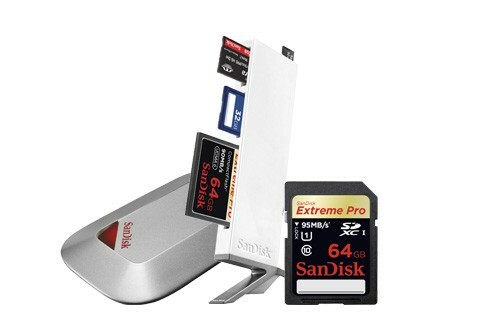 At the Consumer Electronics Show, Las Vegas, SanDisk announced the world's fastest high-capacity CompactFlash card. 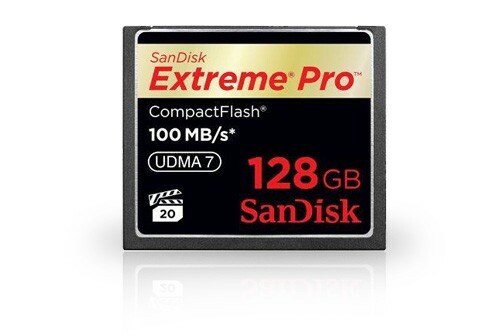 The latest milestone in SanDisk's long history of industry-leading products, the SanDisk Extreme® Pro™ CompactFlash card features 128 gigabytes of storage and up to 100 megabyte per second (MB/sec) write speeds. With its Power Core controller and UDMA-7 interface, the card delivers the performance demanded by high-end DSLR cameras. With a set of features optimised for professional photographers and videographers, the 128GB SanDisk Extreme Pro CompactFlash card is ideally suited for imaging applications requiring Full HD3 1920x1080 resolution, up to 50Mbps bit rate and 4:2:2 color sampling. The card's unprecedented combination of speed and storage lets photographers capture more frames when shooting in continuous burst mode, and enables them to record high quality Full HD videos. 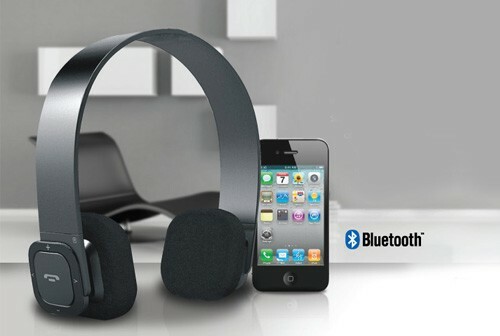 First product is expected to be available towards the end of Q1. Talk to your Peak Development account manager for more information. At the Consumer Electronics Show, Las Vegas, SanDisk announced the launch of the new SanDisk Cruzer Ultra USB flash drive. 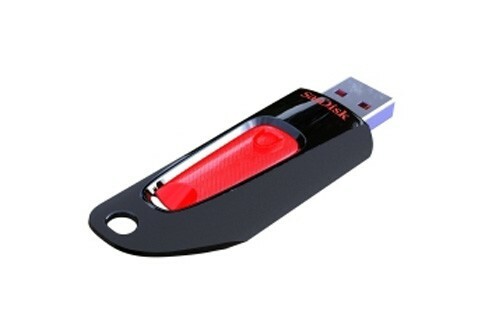 The SanDisk Cruzer Ultra USB flash drive features faster transfer speeds of up to 15 megabytes per second and large storage capacities that will help consumers conveniently manage libraries of multimedia content. 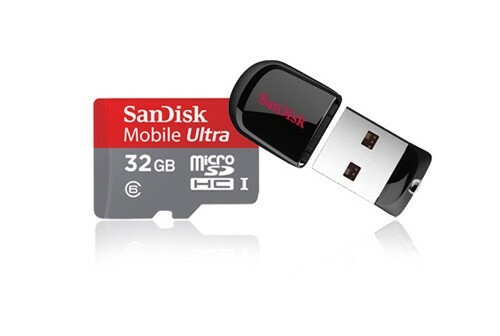 At the Consumer Electronics Show, Las Vegas, SanDisk have announced that it will offer encryption and online backup features across its entire retail USB portfolio. 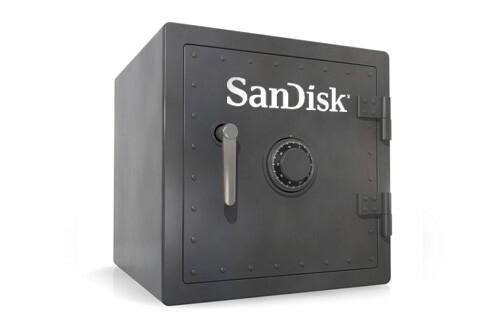 SanDisk SecureAccess software protects files against unauthorised access by creating an encrypted, password-protected folder or "vault" on the USB drive. The software also includes up to 2 gigabytes of secure online backup storage offered by Dmailer. "Business travelers lose more than 12,000 laptops each week in U.S. airports, and more than half of those laptops contain confidential or sensitive information*," said Kent Perry, director, product marketing, SanDisk. "Data security has become an absolute necessity, and SanDisk USB drives with SecureAccess software offer an easy to use vault protected by AES encryption." 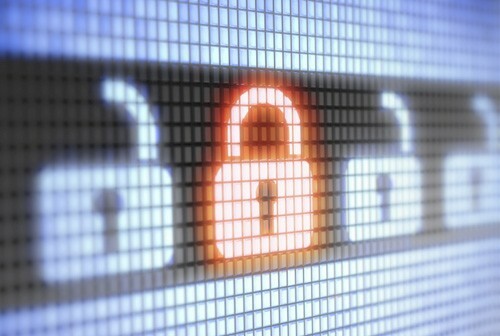 Product featuring the new SecureAccess software is expected to be available towards the end of Q1. Talk to your Peak Development account manager for more information.